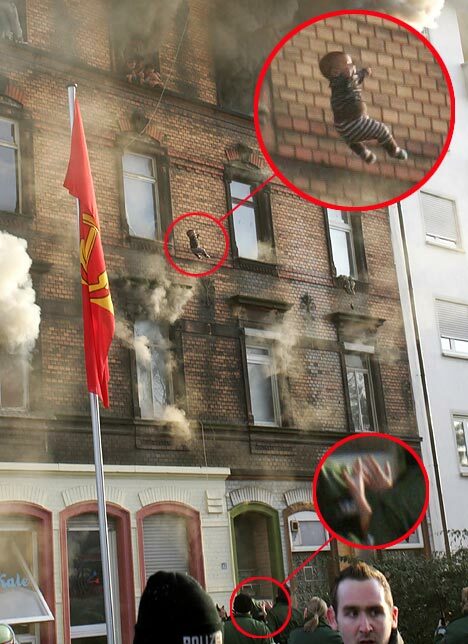 A building fire in Germany led this family to decide that the best thing for their 2 year old was to throw it out the window from their third story window to someone on the street waiting to catch him. He did and the baby lived. Holy cow!